The world's most exciting shooting sport. Fun measured in points per second. The objective is to safely shoot paper, steel, and moving targets accurately, as quickly as possible. 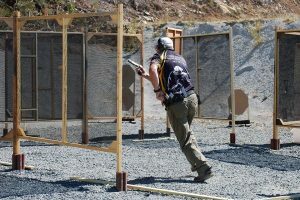 Paper targets are scored in 3 zones, Alpha, Charlie, and Delta. The balance between speed and accuracy is infinitely challenging! 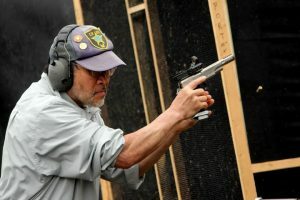 An action pistol match consists of several stages, or courses of fire. Each stage varies with the number and type of targets, barriers, obstacles, ports, and props. 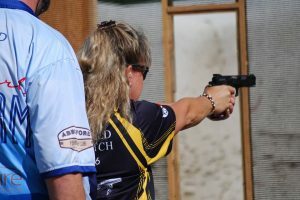 Some stages are designed to test particular skills, such as shooting one-handed or from the prone position. 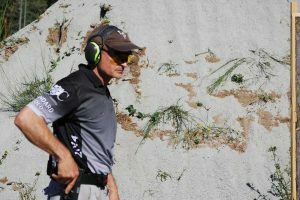 Click here to learn more about IPSC-style action pistol shooting. 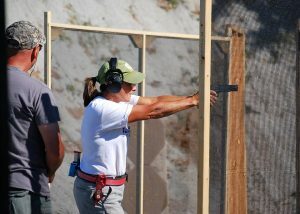 Our club also hosts 3 Gun matches!